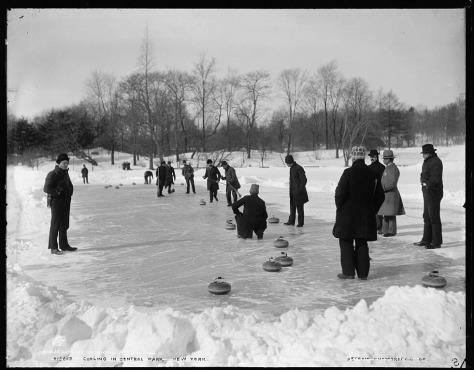 Invented in medieval Scotland, Curling — or “chess on ice” — has been a Scottish sport and pasttime for centuries. This winter, celebrate an age-old Scottish tradition in New York City with curling classes at Prospect Park’s Lefrack Center. Since its creation in the 1500s, the popularity of curling has been steadily growing, and today even serves as an official Olympic sport. Starting this November, for the first time ever, curling lessons will take place in Brooklyn’s Prospect Park. Only two sessions are still available this winter! Each four-week program is conducted by a certified curling instructor and include rules, strategy, and competitive games. A post-game beer is also included in the price. To register, visit Lefrack’s page here. Spots are filling up quickly, so hurry to get the chance to participate this winter! This entry was posted in ASF Events, News and tagged curling, Lefrack, Prospect Park on November 18, 2014 by Camilla Hellman. On November 11, 2014, the NYC Veterans Day Parade featured a moving tribute by West Point Pipes and Drums. The parade, which marched up the iconic Fifth Avenue from Madison Square Park to 52nd street, honored the bicentennial of the national anthem this year. Organizers reported that there were an estimated 20,000 participants, including many veterans going back to World War II. About 600,000 people were estimated to watch the parade. The World Peace Tartan Poppy carries a message of peace and nonviolence for Remembrance Day. For more information on the parade at the performance by West Point Pipes and Drums, visit the parade homepage here. This entry was posted in ASF Events, News and tagged NYC Veterans Day Parade, Raymond Kelly, Remembrance Day, Veterans Day, West Point Pipes and Drums, World Peace Tartan Poppy on November 11, 2014 by Camilla Hellman. 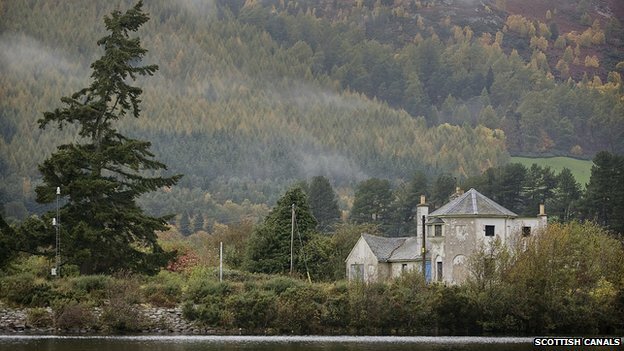 After years of disuse, the future of Bona Lighthouse has been secured by Scottish Canals and Historic Scotland, who have brought it back into use as a breathtaking holiday destination. The lighthouse is one of Loch Ness’s most historic structures. Designed in 1815, it was once used to guide ships into the canal and was the smallest manned inland lighthouse in Britain. As part of a £500,000 project to secure the building’s future, Bona Lighthouse has now been transformed into a visitor attraction and holiday homes. 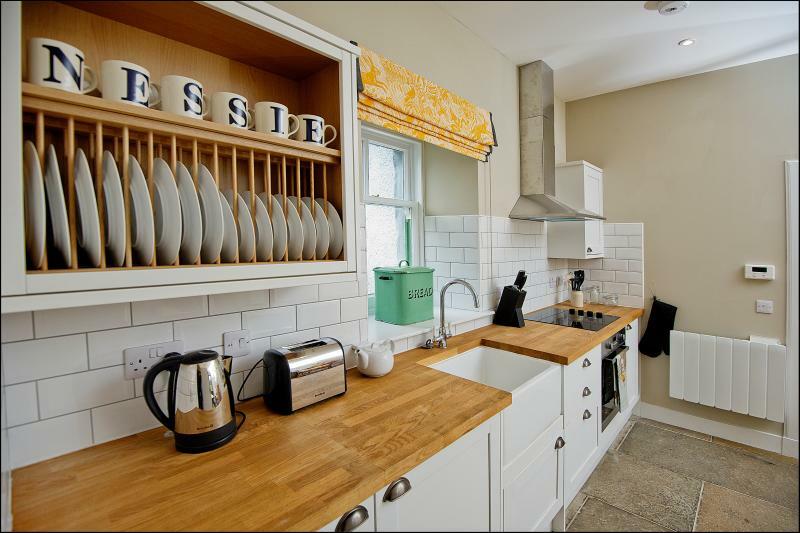 With its picturesque views of Loch Ness, the two bedroom property created in the octagonal lighthouse and one bedroom property created at the other end of the building is an ideal place to spend a holiday and take in one of Scotland’s most iconic sites. To view more photos of the gorgeous property and interior, visit the Bona Lighthouse page here. This entry was posted in Travel in Scotland and tagged Bona Lighthouse, Loch Ness on November 11, 2014 by Camilla Hellman. On Sunday night, thousands of audience members and millions of viewers were dazzled by the star-studded lineup of the 20th annual MTV EMA Awards. Hosted at the SSE Hydro Arena in Glasgow by artist Nicki Minaj on November 9, 2014, the awards featured performances by Ariana Grande, U2, Ed Sheeran, Enrique Iglesias, Alicia Keys, Brighton duo Royal Blood, Canadian artist Kiesza, and Minaj herself. The band One Direction won the largest number of awards, recieving five titles, including Best Pop, Best Live, and Biggest Fans. Other individuals winning multiple awards included Ariana Grande, Australian band 5 Seconds of Summer and Katy Perry. The awards show is estimated to have brought a £10m boost to the city’s economy, with thousands of hotel bookings from visitors around the world. This entry was posted in News and tagged Alicia Keys, Ariana Grande, David Hasselhoff, Ed Sheeran, Enrique Iglesias, Kiesza, MTV EMA Awards, Nicki Minaj, One Direction, Red Hot Chilli Pipers, Royal Blood, SSE Hydro, U2 on November 11, 2014 by Camilla Hellman. 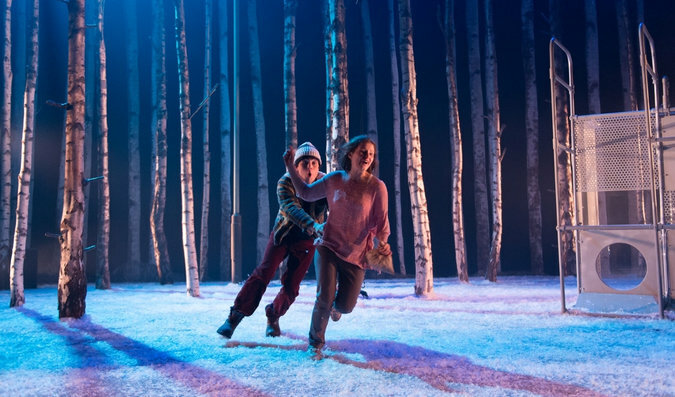 The National Theatre of Scotland is delighted to announce that St. Ann’s Warehouse in Brooklyn will present the American premiere of its critically acclaimed, South Bank Sky Arts Award winning production, Let the Right One In, from January 20th until February 15th, 2015. Let the Right One In is a brutal and tender vampire myth told through the turbulence of a coming-of-age romance. The production, which had its world premiere at Dundee Rep Theatre in 2013, will reunite Tony and Olivier award-winning Director, John Tiffany, with the National Theatre of Scotland for whom he was Associate Director until 2012. Tickets are available immediately for members of St. Ann’s Warehouse and will go on sale November 12, 2014 to the general public. To purchase, visit their website here. This entry was posted in ASF Events and tagged John Tiffany, Let the Right One In, Martin Quinn, National Theatre of Scotland, Rebecca Benson, St. Ann's Warehouse on November 11, 2014 by Camilla Hellman. Associate Events: we thought you might be keen to know about Battlefield Band’s dates in NY state, as part of their eighteen date North East US Fall tour. Shows are already selling out on the tour, so it’s worth moving quickly if you’re keen to catch the band this time around. Please do share the dates around and spread the word if you can – very much appreciated! The band were named as the ‘Vox Pop’ winners in the ‘World/Traditional Song’ category at the Independent Music Awards in August. In addition, their most recent album’Room Enough For all’ was awarded ‘Album of the Year’ at the prestigious 2013 MG Alba Scots Trad Music Awards. This entry was posted in ASF Events on November 3, 2014 by Mark Beaumont.